Occasions and Sale - A - Bration Is Here!!! Occasions Catalog (Jan. 3 - March 31) offers lots of exciting gorgeous new coordinating products and new bundles with a 10% discount! You can use these amazing new products to create projects for spring, Valentines Day, Easter, birthday, floral and so much more. Click HERE to view these products today. 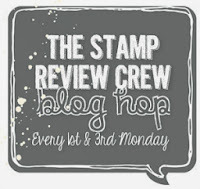 Watch the Stampin' Up! video's below for AWESOME new product demonstrations! CLICK HERE TO DOWNLOAD THE PDF VERSION OF THE 2nd RELEASE SALE - A - BRATION CATALOG SALE - A - BRATION (Feb. 15 - March 31) The Sale-A-Bration party just got bigger with our second release. That means more FREE products for you! Earn FREE exclusive Sale - A - Bration Products for every $50 or $100 (before shipping and tax) you spend. Who doesn't love FREE Goodies??? I know your gonna LOVE the 2019 Occasions Catalog as much as I do. It is full of LOTS of new must have products. I am so excited about the 2019 Occasions Catalog!! When you shop with me I love to spoil my customers. I appreciate your support so much and can't thank you all enough. Keep reading below for all the details.